We’re at midcourt, and the ball is about to go up…it’s Monday Tip-Off! Start your week here at the NLSC with a feature that’s dedicated to opinions, commentary, and other fun stuff related to NBA Live, NBA 2K, and other basketball video games. This week, I’m tipping things off with some thoughts on the current controversies surrounding NBA 2K18, and the goodwill that Visual Concepts has lost. I’ll admit that there’s a part of me that doesn’t want to write this column. I’ve already discussed the matter in Episode #223 of the NLSC Podcast and in the NLSC Forum, and I’d rather not sound like a broken record. Furthermore, it’s all too easy to come across like a hater, gleefully indulging in some opportunistic bashing simply because there’s a controversial issue that’s a hot topic at the moment. However, it is a big deal, and it’s something that we basketball gamers shouldn’t let slide. I am of course referring to the aggressive implementation of Virtual Currency in NBA 2K18. By now, if you haven’t played NBA 2K18 and felt the sting of VC gouging, you’ve no doubt heard other basketball gamers expressing their outrage. Perhaps you’ve even read about 2K reaching out to a site that published a negative review, asking them to reconsider their score. These are disturbing and disheartening practices for a company that is the brand leader, with a vast majority of the market share. 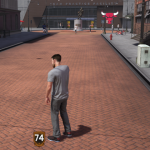 As a game, NBA 2K has gone from strength to strength in many aspects, stepping up to deliver great experiences on the virtual hardwood as the NBA Live series has faltered. That’s earned them the adoration of gamers, but right now, that goodwill lies in ruins. Virtual Currency is nothing new. It was first implemented in NBA 2K13, but its presence has increased over the years, no doubt becoming very lucrative for Visual Concepts. Although VC can be purchased with real money, it’s always been optional. Technically speaking, you don’t have to engage in microtransactions to play NBA 2K. As the years have progressed, however, there has been more pressure to do so, especially if you want to remain competitive in online modes. Placing more items behind a VC paywall, bumping up prices while reducing VC earnings, and the use of an in-game shopping cart, all subtly nudges users towards forking out real cash. As VC has become more invasive while at the same time being harder to earn, the grumbling from gamers has become louder with each passing year. 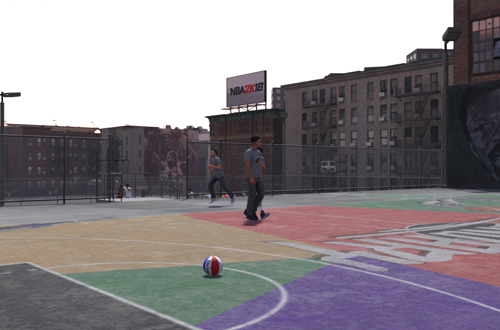 We’ve now reached the tipping point with NBA 2K18, and the newly revamped MyCAREER mode featuring The Neighborhood. The amount of VC earned per game has been reduced from NBA 2K17, and the difficulty multiplier done away with. Basic animations are behind paywalls, some of them quite expensive. Items of clothing cost more than a single game’s salary. We even have to pay for haircuts and different hair colours, all while trying to budget for expensive ratings upgrades. Understandably, the backlash has been swift. There is a huge dissonance between review scores and user scores, more so than any other NBA 2K game in recent memory. Although a couple of reviews have given harsher than usual scores and even bluntly referred to NBA 2K18 as a “cash grab“, quite a few others – like IGN’s review – only mention the problems with microtransactions in passing, while still awarding favourable scores. Gamers haven’t been nearly as forgiving. While the PlayStation 4 and Xbox One versions of NBA 2K18 have very favourable ratings of 84 and 87 on Metacritic, user scores are a dismal 2.1 and 1.6 respectively. Glance at those user reviews, and you’ll find a common theme to the criticism. While users do note improvements to gameplay and other aspects, they’re generally disgusted with the amount of grinding, all the VC paywalls, and greater pressure to spend real money on in-game coin. So many things are locked behind reaching a certain Overall Rating, via the Road to 99. Again, it’s possible to reach those levels through grinding, but it’s a chore, especially with the nerfed VC rewards. A lot of gamers obviously will go the “pay to win” route, which only adds further pressure for other gamers to do the same if they want to remain competitive online. Frankly, Visual Concepts has taken the whole concept of VC to an unforgivably greedy level this year. It’s a slap in the face to gamers who have supported the series for years, in some cases destroying over a decade of goodwill. Put aside some of the legacy issues in NBA 2K18 for a moment. Forget about the story that a lot of people, myself included, feel is irritatingly cheesy. The fact that MyCAREER and The Neighborhood has become a way to milk extra revenue out of gamers with a freemium-type approach in a AAA title is reprehensible. Sure, you don’t have to pay, but the incentive is there. It’s something you’re forced to strongly consider. Sadly, there are a lot of apologists who have tried to justify the practice. “Do you get haircuts for free?” they smugly ask. “Can you try on haircuts before you get them? Don’t you want realism?” To that, I say there are acceptable breaks from realism when it comes to video games, especially when microtransactions are potentially involved. Very few people are paying thousands of dollars for a haircut. The average item of clothing doesn’t cost more than an NBA player’s weekly salary. As for previewing haircuts, again, it’s a game; there are some liberties. Otherwise, we’d all be capped at 40 Overall at most, and our NBA career would be over before it’s even begun. The other sneering comment from gamers defending the practice – which I also feel reflects 2K’s gall to be this aggressive with microtransactions in the first place – basically boils down to “What are you going to do? Play NBA Live instead?” Putting aside the fact that NBA Live 18 has made strides towards being a viable option and a lot of people are enjoying it, it’s an asinine point. The shortcomings of NBA Live do not justify problems in NBA 2K, and vice versa. That’s essentially whataboutism. Whatever issues NBA Live may have, it doesn’t change the fact that NBA 2K has issues, or that Visual Concepts has thrown away years of goodwill. 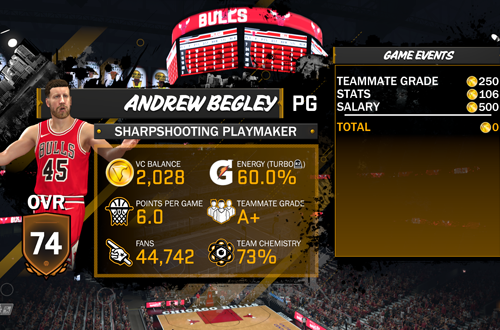 To illustrate the point, I was accused of a “biased” “review” after last week’s Monday Tip-Off, in which I expressed dissatisfaction with this year’s MyCAREER story; not an unpopular opinion. Beyond that, the article was not a review but light-hearted fare, musing how Shammy Wells felt like the real star after some incredible performances. Look, I grew up with NBA Live, and I do have nostalgic affection for the brand. I’ve also come to love the NBA 2K series. It doesn’t mean that I don’t have my criticisms of both titles. Live still has a ways to go with gameplay, and especially game modes. 2K has been great for many years, but this year’s approach to VC is troubling. More to the point, even if I was a biased NBA Live fanboy, supposedly always trying to find something bad to say about NBA 2K, what about everyone else who is expressing the same complaints? Once again, NBA 2K18 is garnering unusually low scores from users compared to previous years. Even people who refuse to consider NBA Live or don’t feel it’s a satisfactory alternative at this time are expressing their outrage at the lack of goodwill. It’s not something that we should all blindly tolerate and excuse, just because NBA 2K has been putting out a great product for so long. They’ve pushed the boundaries of what’s acceptable, and they’re hearing about it. At least, I hope they’re listening to the outrage. The official social media accounts are happily touting positive reviews, much to the chagrin of everyone who has lost their MyPLAYER and the VC they’ve purchased. That they continue to pat themselves on the back while so many gamers feel angry and cheated is rather off-putting. Equally discouraging was their reaching out to TheSixthAxis in an attempt to get them to change the harsh score in their review, or at least change its status to “review in progress”. It’s an inappropriate request that suggests they’re more concerned about their image and Metacritic score than addressing a very valid complaint. I’d go so far as to say it suggests a certain amount of disdain for their most loyal customers. That attitude was on full display last year, when Ronnie 2K – who is no stranger to controversy – sneeringly replied to a complaint about hairstyles that NBA 2K was “more than a Barbie dress up game“. Amusingly, the very next day, a blog arrived touting the shoes that would be available for your MyPLAYER in NBA 2K17. 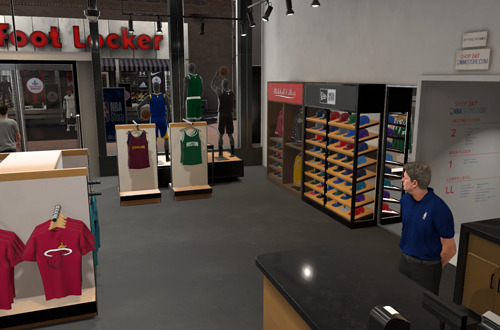 In NBA 2K18, we go to the barber shop and pay for haircuts, and wander into virtual stores to try on and buy clothes, making Ronnie’s retort even more laughably ironic. If nothing else, the lack of professionalism was absolutely astonishing. That 2K continues to an employ a digital marketer/community representative who seems more interested in rubbing shoulders with NBA players and celebrities, taking credit for the game despite not being a developer (and then throwing the developers under the bus when there’s criticism), and metaphorically thrusting a middle finger in the faces of fans, speaks to how comfortable they feel. And why shouldn’t they? These controversies won’t sink NBA 2K, nor should they. I’ve had a lot of fun with NBA 2K over the years, and I know many gamers can say the same. We need more than one basketball game on the market, and one of them needs to be NBA 2K. 2K has been full of affection for the fanbase when we sing their praises, but with all their success, they’ve grown unaccustomed to dealing with harsh criticism. It’s been easy to dismiss as the angry griping of a disgruntled minority of the fanbase, and maybe a few stubborn NBA Live fanboys. That isn’t the case any longer. Long-time NBA 2K gamers are feeling cheated. Instead of their loyalty being rewarded, it’s being tested with an approach that is completely lacking in fairness and goodwill. They’re ruining what has been a fantastic experience through greedy gouging. It really seems like this year, they wanted to see how far they could push things with VC. I guess they’re finding out, and in all fairness, they have responded with the small gesture of reducing haircuts to 100 VC across the board. As I said on the NLSC Podcast, credit where it’s due, but it’s not really good enough. Haircuts, and hair colours, should be free. You shouldn’t have to repurchase hairstyles and facial hair if you re-scan your face. A basic pair of basketball shorts shouldn’t cost more than your weekly salary. If VC is more important than ever, it shouldn’t be harder to attain without paying real currency for it. Difficulty multipliers shouldn’t be taken away, and issues with missing VC must be resolved as soon as possible. It remains to be seen just how many people follow through on their declarations to never buy NBA 2K again. I couldn’t fault anyone for going back on that promise, because the games have simply been too good for most basketball gamers to boycott. However, it’s clear that there is a lot of dissatisfaction with NBA 2K18, and rightfully so. The direction it has taken has lacked goodwill, and it might be tough to win back some of the crowd. Stunts such as trying to get a publication to change their review score based on flimsy semantics also undermine their credibility and image, and make them appear unwilling to listen to valid criticism. The efforts to repair the damage must begin now. Needless to say, 2K should avoid such an aggressive approach in the future. If they don’t, they’ll continue to damage their brand, to say nothing of the experience that NBA 2K provides. However, in the short term, they definitely need to make amends. Prices need to be lowered further to reflect actual market value, relative to the amount of VC that is earned and the salary it represents. Based on the rookie salary, 500 VC is worth around $14,390, so a pair of shorts for 600 VC costs the in-game equivalent of about $17,268. That’s insane! Lower prices, raise VC rewards, and bring back difficulty multipliers. It’d be a start. Sure, you can go ahead and call me an NBA Live fanboy. By all means, label all the people complaining about VC in NBA 2K18 as whiners and cry-babies. After all, if it’s not your problem, it’s not really a valid problem, right? That’s fine. Just wait until an NBA 2K game crosses the line for you. Maybe MyTEAM Points will be removed in favour of just having VC. Maybe re-scanning your face will cost VC. Maybe half of the historical teams will only be available for pre-order customers. Whatever the case may be, you might just find that there’s no amount of Virtual Currency that will buy some goodwill. 2K would do well to remember that, too. Thanks for commenting, glad it resonated with you! It seems to me that 2k has generally been free of major criticisms. The period between 2k11-2k18 felt like their honeymoon with the fans. I knew it was destined to end soon, but I find it to be quite surprising that it didn’t really take much. As far as I’m aware of (I don’t own 2k18), the gameplay and other offline game modes are at their best. So ignoring the VC problems, it sounds like it’s still a great game. But from what I’ve been seeing from various websites/communities, it seems like all people talk about are the VC issues. I’m honestly a bit surprised by how strongly the community reacted. There’s some great points to NBA 2K18 outside of MyCAREER and The Neighborhood. The new motion system does feel better, the new All-Time squads are great to have, and MyLEAGUE is still the best franchise experience around. There’s definitely still stuff to enjoy in NBA 2K18. As for the extent of the backlash, there are a couple of reasons for that. MyCAREER and the connected experiences of The Playgrounds (formerly MyPARK) and 2K Pro-Am are among the most popular modes in the game, so a lot of people are feeling the sting of the VC gouging. 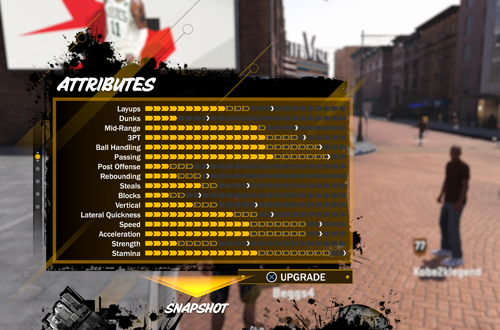 Second, it’s never been this bad in terms of having to grind and being pushed towards spending real money with so much behind a paywall, and everything being expensive compared to the amount of VC you earn. As I said, there’s been grumbling in the past, but we’ve reached a tipping point this year. It was pretty hilarious that I was just reading about your observations on Ronnie2k yesterday, and today SI publishes an interview with him that pretty much verifies everything that you said about him. „there’s no amount of Virtual Currency that will buy some goodwill” are Golden Words!